Sharp pain. The kind that literally stops you in your tracks. A tug, insistent, drawing you into yourself. Then the sucking sensation that is eerily reminiscent of you forcing every last drop of that soft drink from the bottle, through the straw, and into your mouth. All this, happening right inside your chest, and with it, the pounding migraines, shortness of breath, queasiness. The fatigue, bags under your eyes, eyes sensitive to light. The light headedness. I was only 28, yet my heart and body acted as though I were 60. How did I get here? Work. And sitting too much. How does a “young person” suffer from heart disease, or worse, die from a heart attack or hypertension? Sedentary lifestyles. Think about it. You wake up from sleep and what’s the first thing you do? Reach for your phone. This translates to probably another 10 – 15 minutes of laying flat on your back, side or belly while browsing. After showering and getting dressed, what do you do? You sit down and eat breakfast. 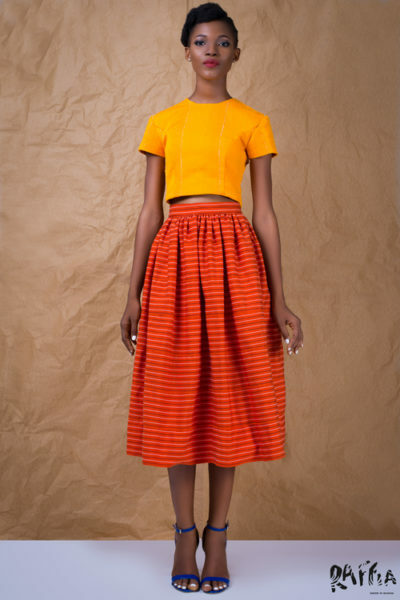 Then, you rush out of the door – only to find yourself sitting in Accra’s traffic. Whether you’re in your private car, an Uber ride, a trotro, company bus, or motorbike doesn’t matter – you’re still sitting. You arrive at work and go straight to your desk. If you skipped breakfast at home, you probably made a stop at the Waakye seller’s place and so the smell of tomato stew wafts in with you. For the next three or so hours, you stay glued to your seat. After all, why would you move? They would think you’re not actually working. Besides, who needs to move an inch when you have email, phone, WhatsApp and Google Docs. You and your colleagues are practically sitting in the same chair. Lunch time comes. Technically, you have an hour to yourself. In actuality, you have deadlines. That’s why you’ve already placed your order for food – ah, here it comes. Jollof rice and chicken. 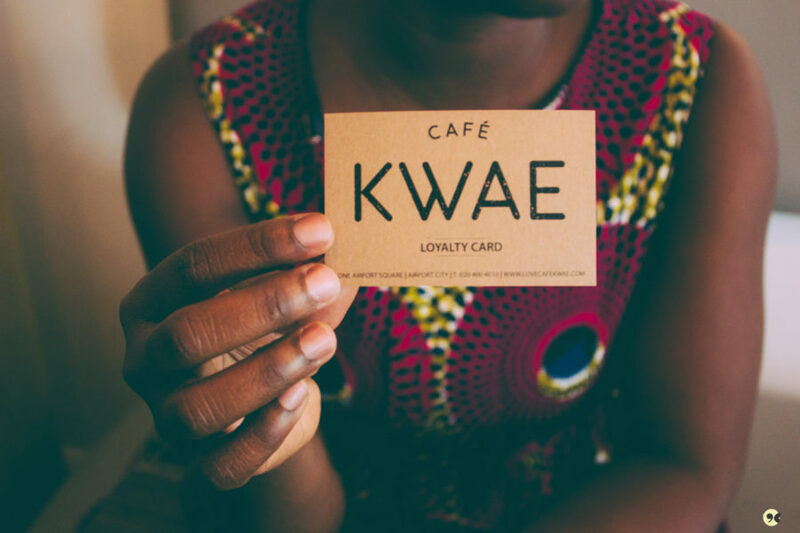 Of the Ghanaian kind. You eat as you continue to work or stare at your phone. All the while, sitting. Break over. You get back to work. By closing, you’ve probably spent all eight working hours in that chair. At best, you moved your limbs for a total of one meagre hour. It’s time to go home, or as they say, rush hour. Out the door you sprint – right into traffic and another hour or so of sitting, taking in what few moments of sunlight are left. By the time you get home, you’re super tired. All that work, abi? You have a late meal – banku and okra – and go straight to bed afterwards. Early morning and so forth. Day in, day out, five days a week, you repeat the same. Weekends are no better. You’re either catching up on TV series, chilling with family and friends, or attending a social function – all of which, I’m willing to bet, involve sitting or eating. No wonder you feel so lethargic! Your body is taking a cue from you and literally shutting down. And yet, you’re supposed to be this strapping young lad or lady, already tired at the ripe old age of 20. When I first read about some companies in the US implementing standing desks in their offices, I rolled my eyes. Now, my ears perk up. With modernization, technology and convenience, other elements we may not have anticipated, much more wished for, have come in to the fold. Chief among them, lifestyle diseases like heart diseases, diabetes, hypertension or high blood pressure, obesity, cancer and depression. They creep upon us until the very body we inhabit – this genius of a machine created by God – becomes foreign. 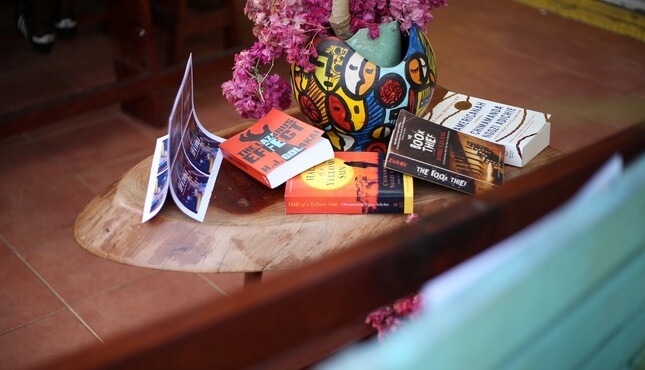 Thanks to the relative ease of doing things in the work space as much as at home, Africa’s young professionals are slowing killing themselves. As coined by Dr James Levine of the Mayo Clinic-Arizona State University Obesity Solutions Initiative in 2014, sitting is the new smoking. One hour of sitting could shorten your life by two whole hours, the “Get Up” author and treadmill desk inventor warns in his book. Cardiovascular diseases (CVDs) like heart attacks and stroke are the number one cause of death globally. An estimated 17.7 million people died from CVDs in 2015, representing 31% of all in deaths in the world that year. CVDs are linked to behavior and lifestyles, particularly an unhealthy diet, physical inactivity, tobacco use and harmful use of tobacco. In Africa, the incidence of lifestyle diseases is on the rise as many countries become more “westernized”. When it comes to the prevalence of hypertension (high blood pressure) among Africans, researchers Stuart Ali and Francesc Xavier Gomez-Olive Casas note that East Africans seem to be more affected than West Africans. South Africans seem to be the most vulnerable to the disease which claims 9 million lives annually. A key factor: “little to no exercise”. What’s more, only 40% of men and 54% of women surveyed were aware they had hypertension. That said, not everyone considers sitting to be the key issue. A recent study by the British Journal of Sports Medicine emphasizes that the context and type of sitting is important. However they do agree on one thing: physically inactive persons who sit a lot are more at risk of getting Type 2 diabetes. Why are Africa’s professionals particularly vulnerable? Because where our parents and grandparents had manual labor and worked out their bodies on the farm, we live sedentary lifestyles. We’re not as physically active, we’ve discovered ‘fast food’ yet the majority of us aren’t exercising, and we’re almost always sitting. It wasn’t until 2014 when I went through an entire year of constantly being sick that I finally realized I’d been courting what is quickly becoming a silent killer in many African countries: lifestyle diseases. 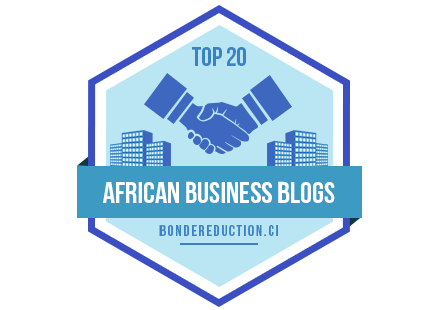 These days, we spend the majority of our time sitting – especially if you work in corporate Africa. That means less blood circulation and failing / flailing muscles. We sit in our cars, we sit in offices, we sit at the canteen, we sit at home, we sit in traffic, and even in the toilet. You’re probably reading this while sitting. Throw in phones and voilà, play time is now screen time. The crazy thing is we don’t even see the danger in all the sitting we do -especially if you don’t exercise frequently – until it’s too late. The pain in my chest that I described above? The electrocardiogram showed it to be arrhythmia (abnormal heart rhythms or heart fluttering) – which could be an indicator for heart disease, currently the leading cause of death for men and women in the US. The Tunisian doctor I saw asked me a simple question: Are you stressed? Stressed? Me? Nah, I’m as cool as a cucumber. He clarified: do you have a stressful lifestyle? Are you often busy, always working? Long hours? Ahh. Guilty as charged. That was my wakeup call. The diagnosis might have been new, but it was by no means out of the blue. Months before, my body had given a clear warning, literally shutting down while I was at work. Chills, cold sweat, fever, and shaking were all it took for me to leave work early and go straight to bed. The next morning, I googled my symptoms, the result: a panic attack. Yes, really. A panic attack. Calm, collected me. Young, black African woman, me. I found it hard to believe. After all, weren’t some kinds of ailments either a/ overrated or didn’t they b/ only affect “white people”. Our words, not mine. The very next morning, after my night’s “rest”, I went straight to work. Like nothing had happened. Because deadlines. I’m sure my body would have had some choice words for me if it could speak, but alas. This 250-attendee event wasn’t going to organize itself, I rationalized. After that event was done, I went straight to working on the next project. Why? It was my first few months on the job. I didn’t want to create the wrong impression, you know, of being lazy or unserious. All this despite the fact that days off were built into my contract or that I’d never actually been one for the fast, burn the midnight oil life. Nah, I was saving my leave days for Christmas, because that’s what everyone did. This, my friends, is how we participate in slowly killing ourselves. Or should I say, this is how some of us slowly kill ourselves. 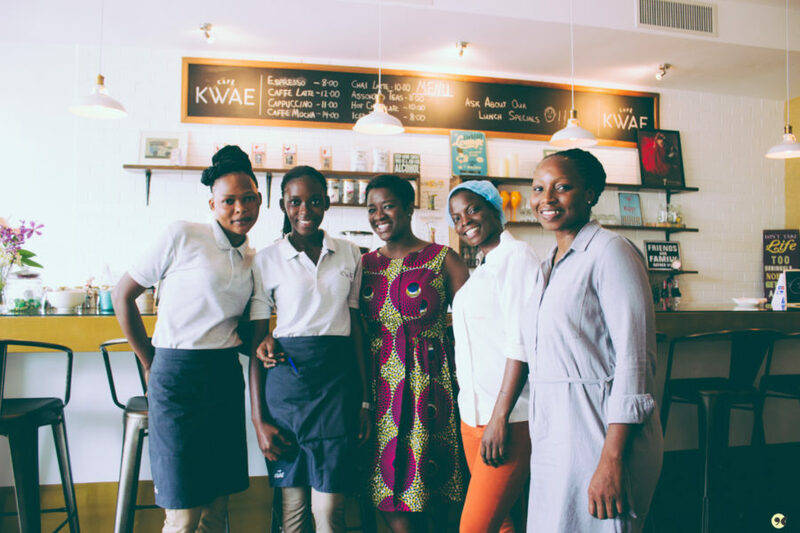 There is a small and growing subset of Ghanaians who are beginning to pay attention to what they eat, how much they exercise, and the extent to which our food and work cultures affect our health and overall lifestyle. However the vast majority seems not to have caught onto the silent threat of lifestyle diseases yet, at least not on the scale that the average person in Zambia and Senegal seems to have. 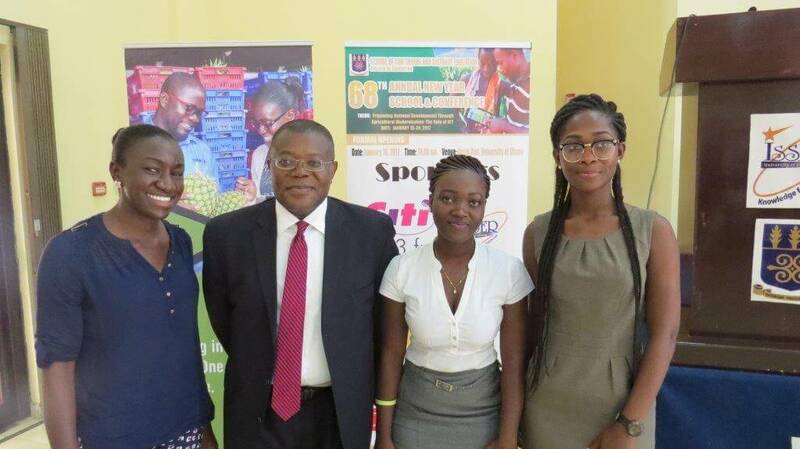 Here in Accra, I usually encounter people between 40-60 years on my morning walks and on the tennis court when I played daily – although I am beginning to see a few more young people. 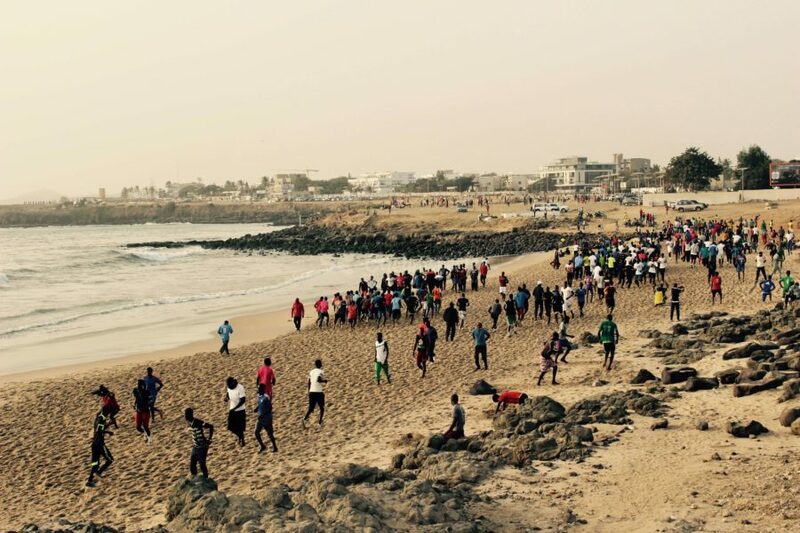 If I were to name one city the “fitness capital” of West Africa, it would have to be Dakar. 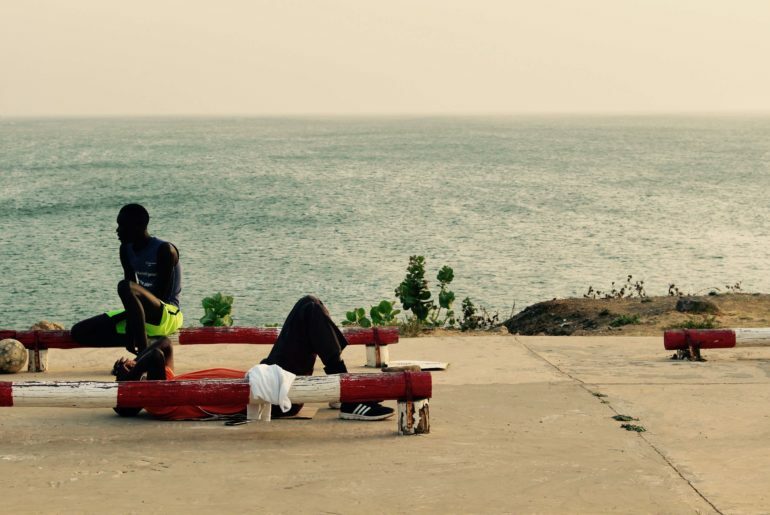 Back in 2010 when I lived in the Senegalese capital, it was common to see young men and boys lifting weights in the city’s sandy streets. The local wrestling industry was motivation for many as was the social pressure to “look good”. 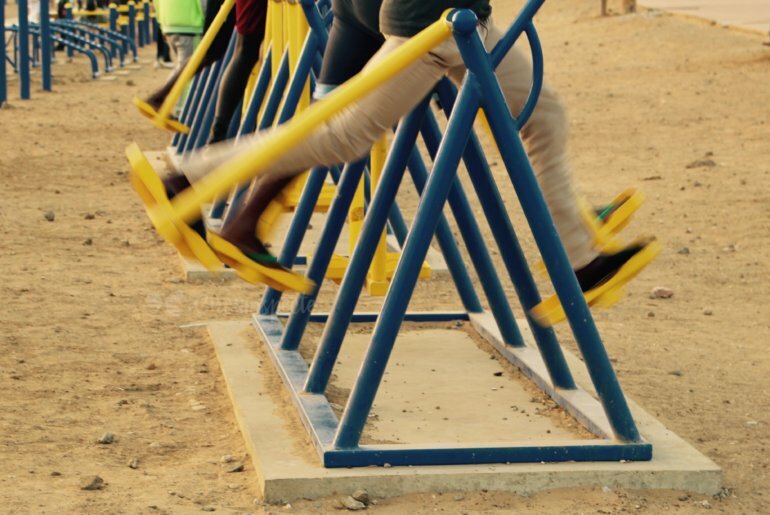 And so the makeshift gyms which consisted primarily of metal and rubber tires sprung up along the corniche. One would see dark lithe bodies running up and down the beach or on the steps of the African Renaissance Monument and other notable fixtures. Fast forward to 2014, I was elated to discover that the makeshift open-air gyms had not only multiplied, but had also been replaced with safer bars and equipment, all painted bright. Now, the motivation is ‘le bien-être’ – well-being. These newly designated “communal gyms” were packed in the early hours as Dakar’s residents took to the streets to get a morning jog or walk in before work. At sunset, the numbers on the beach grew – football, jogging, yoga, cycling, weight lifting, you name it, it was there. The best part that practically everyone seemed to be involved – young men and women, entire families, the elderly. 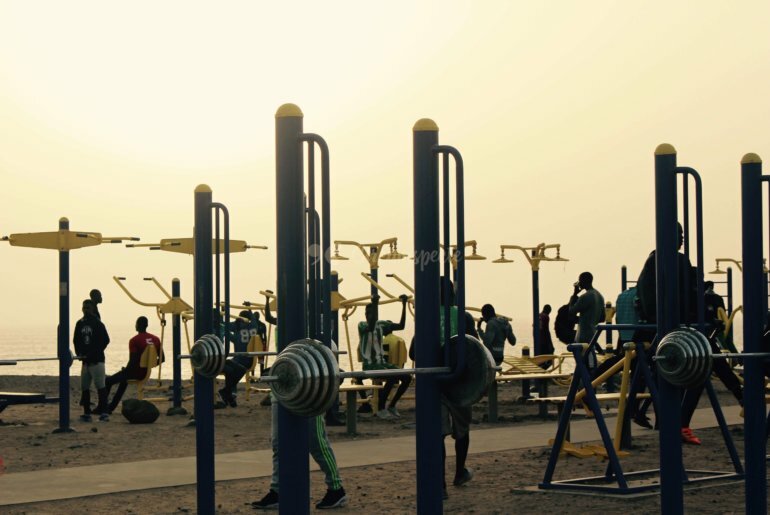 My last visit to Dakar in March proved that the fitness culture is still very much rooted in the city, as the photos in this article confirm. Dakar’s inhabitants may not know it, but what they have is clear evidence of a fitness culture; something that is sorely missing in Accra and many other African cities. I’m willing to bet that anyone who witnessed that scene would think twice about not working out. Are you stressed? Do you work or travel a lot? Spend most of your waking hours behind a computer? #TeamNoSleep? If you answered yes to any of these questions, please press pause. 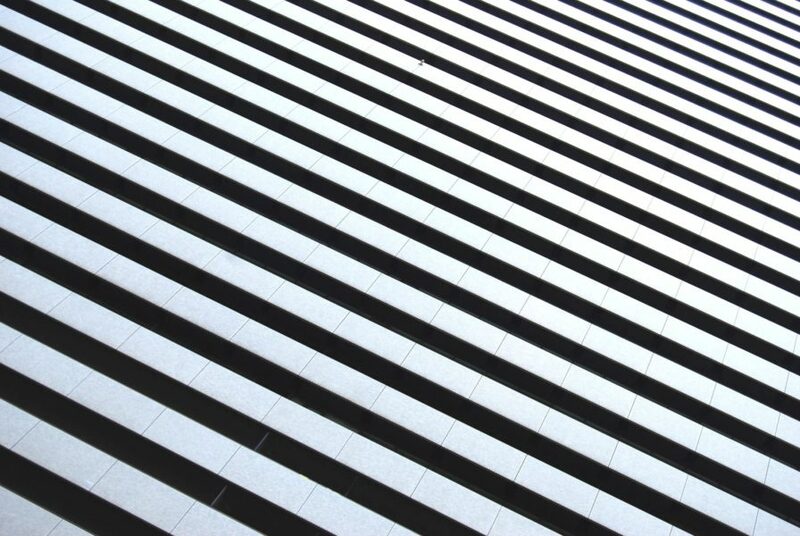 The glorification of constantly being on go, hustling, not sleeping, or quite simply, being a workaholic is something we seriously need to rethink. This goes especially to Africa’s young professionals, entrepreneurs, freelancers, and creatives. You’re literally killing yourself with work, even when you’re supposedly “resting”. As a recent Harvard Business Review article points out, there’s a distinction between rest and recovery: “Stopping does not equal recovering”. Being healthy is not just about the food you eat. It’s also about how you sleep, your mental and emotional state, and how you move. The human body is built for movement but our current lifestyle is in direct contradiction to that and one could say, to the laws of nature. Take the stairs instead of the elevator. Go for a walk instead of a TV series marathon. Engage in re-creation that actually involves using your body. Pay attention to your health – today. You may not reach 60. Move. Watch what you eat. I’m still on my journey towards fitness and well-being, and I have days where I fall off, but the difference is clear. In my next article in this series, I hope to share some insights and tips on how you can make small, but impactful moves against sedentary lifestyles. Until then, listen to your body and take care of yourself. Glad you found it so! Thanks for reading!